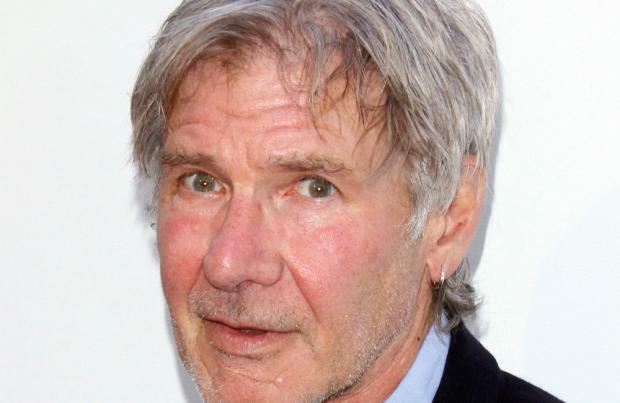 Harrison Ford could miss up to eight weeks of filming on 'Star Wars: Episode VII'. The 71-year-old actor was airlifted to John Radcliffe Hospital in Oxford after he was crushed by a hydraulic door at the Pinewood Studios in Buckinghamshire on Friday(12.06.14) and though he is expected to leave hospital soon after being treated for a broken ankle, he is unlikely to return to work for some time. A source told the Daily Mirror newspaper: "At the moment it looks like Harrison is going to be off set for 6-8 weeks but the main priority is making sure he is OK."
A spokesman for J. J. Abrams' movie said they are "hoping to announce some good news soon."